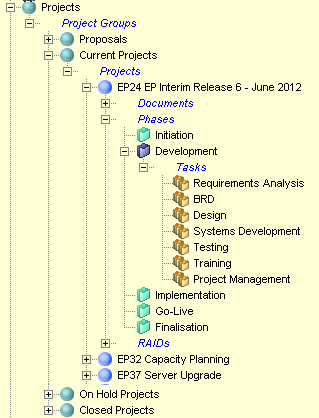 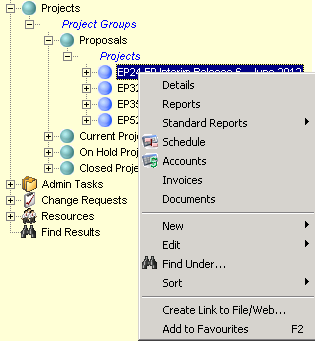 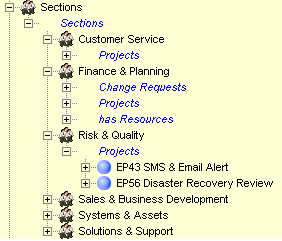 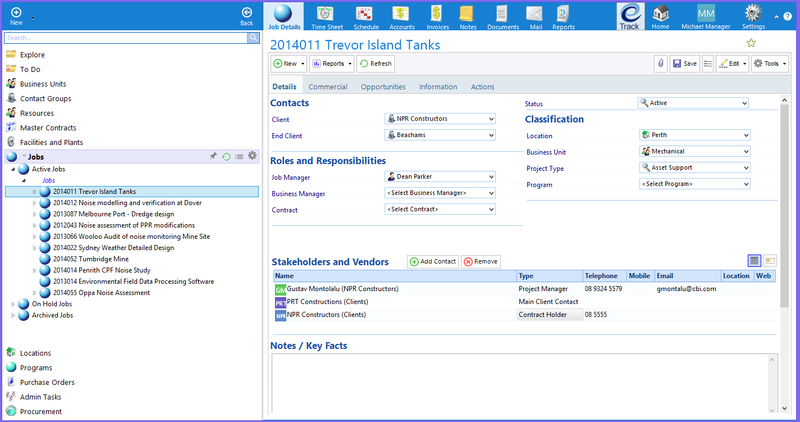 A typical configuration groups information by Projects, Contacts, Admin Tasks, Resources and the Logged in User and allows simple navigation using a tree. 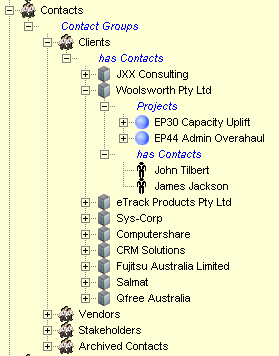 The following pictures show expansions of each of these tree areas. 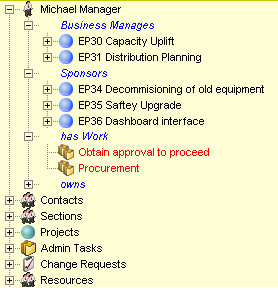 The tree structure and terminology can all be easily changed without code changes: for example you could add Divisions, Locations, Project Types, Systems or Products and relate Projects and Contacts to these.